Apart from a few crappy cuts between frames, and some bad dialog it was actually not to bad. 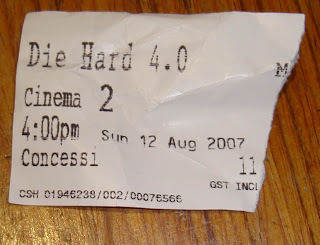 It kept the Die Hard theme thats for sure, with massive stunts and some cool CG. If you get a chance, id go see it. But don't feel bad if you miss it, it can wait for DVD.